While Torchlight had three classes two choose from, Torchlight 2 will have four completely new ones. Already revealed are the Engeineer, Berserker, and Outlander. With one more class to go and the game (hopefully) getting closer to release we're left wondering, and speculating, just what is our fourth class going to be. We won't be waiting much longer as Runic has announced the full class will be revealed this coming week at PAX 2011 in Seattle. Co-Optimus will be there to bring you hands on impressions of the game, but in the meantime we're told you should watch this site for hints on the class. 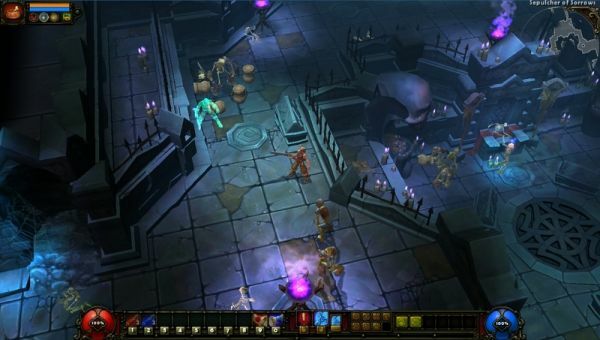 It was revealed at E3 during our hands on preview that Torchlight 2 will support at least 8 players in co-op, though no hard limit would be set for the PC game...most likely. There's been no solid release date announced for the game other than "soon."